These are the words of Legalega Adi Shakti Mandir’s Preacher, Mishra Vivekanand who says this is something that he has learnt from Lord Rama and has implemented in his life. Hindus around the country today celebrated the last day of Ram Naumi which is the birth of Lord Rama. He says that Lord Rama was never cruel to anyone when he spoke to people. Vivekanand says big conflicts can be avoided if you talk to your wife, children and neighbours with love, kindness and humility. Devotees devote nine days to praying, chanting and the reciting of the Holy Book Ramayana. 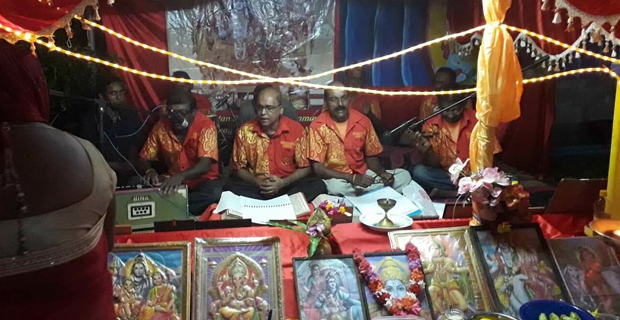 Meanwhile, hundreds of people who were gathered at the Shiv Temple in Samabula were told by the preacher, Pundit Vijendra Mishra to respect their parents and serve them like gods. Mishra told the people that nowadays a lot of people tend to find happiness in materialistic things and that is something that has to be avoided.